Baby Katie is growing fast! 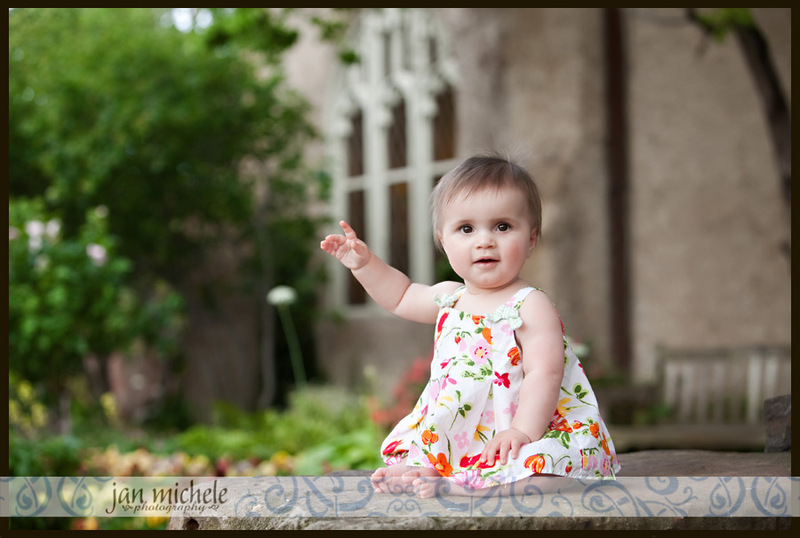 It seems like just a few weeks ago that I was taking her newborn pictures. Big brown eyes and baby chub – it doesn’t get any sweeter! 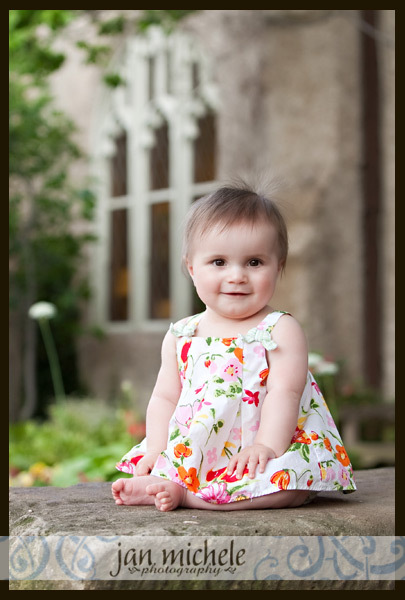 And isn’t her first outfit absolutely perfect for pictures in a garden? Love it! 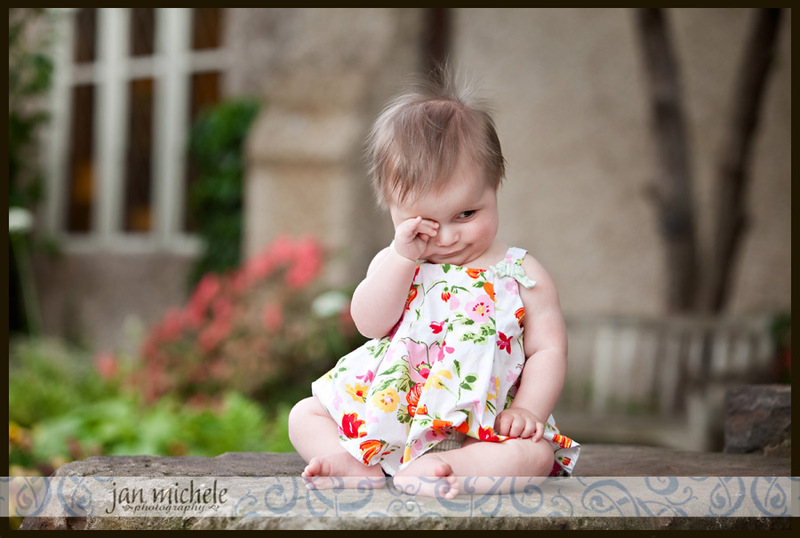 We finally had perfect weather, but our little model, who apparently was so excited about the shoot that she tried to skip her afternoon nap, was a little sleepy! She’s trying very hard to be a good girl and not pick the flowers or eat the mulch. There’s a smile, but boy did Daddy have to work hard for it! Love these interactive shots! She adores her Daddy!